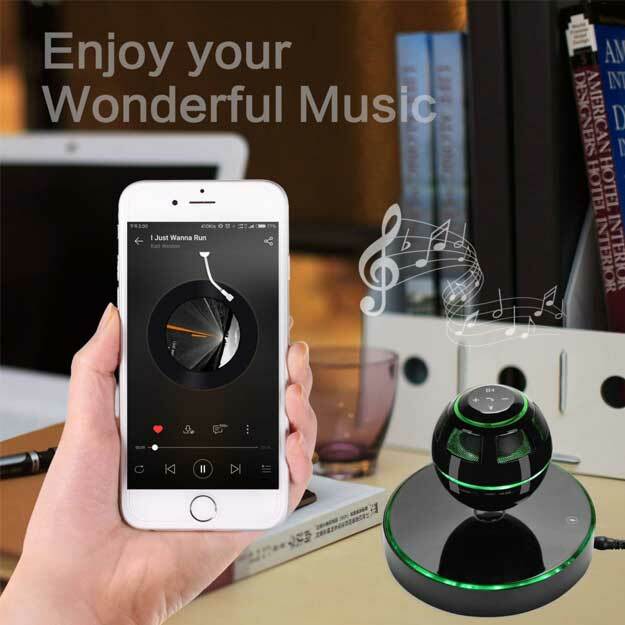 Listen to your music wireless with an eye-catching spinning speaker. Make your calls hands free without touching any device. Turn your 360-degree levitating speaker into LED visual lights.